Where does this squirrel live? It's really beautiful. 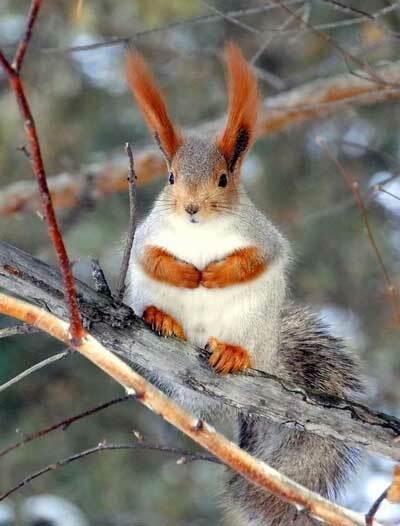 It's supposedly an Abert's squirrel, which according to Wikipedia live in parts of the US. However, I couldn't find any information about them with this red and white colouring and there are only a few photos on Google images of them this colour. If I interpreted the info correctly, there are 9 subspecies of these squirrels, 7 of which are grey in colour. The only ones that have the intense red are one part of a subspecies that is north of the Grand Canyon. No wonder there aren't many pictures of them!